You Robot! What Does It Mean to Regulate Artificial Intelligence? 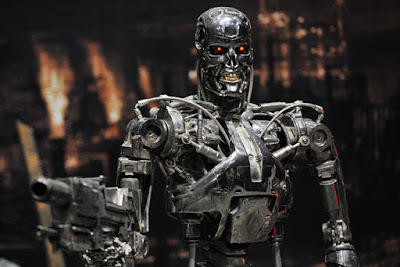 There's a huge amount of discussion in the media now about killer robots annihilating hordes, autonomous (driverless) cars running amok and mowing down people, and at the point of singularity Skynet will say no to being switched off and we are in a continuous war of us against them. There's also a huge amount of rubbish being spoken too, so it's time to introduce some clarity and (real) intelligence to the arguments surrounding us. My colleague, Dr Paresh Kathrani at the University of Westminster, is organising a debate on the question posed in the title of this post. We will hold it on October 8 at the university. Joanna J Bryson of Bath University' Computer Science Department. Her web page says: "At Bath I do research in both artificial and natural intelligence, with a particular emphasis on cognitive systems." Lisa Webley of Westminster Law School who researches the legal profession with special interest in issues of gender and diversity. 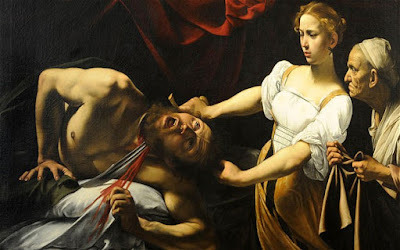 She is also fascinated by the changes occurring in the profession occasioned by technology. Paresh Kathrani of Westminster Law School who instigated this as a result of a longstanding discussion held on Twitter (which rages still). He comes at this through a philosophical interrogation of what it means to be a human agent in a technological age. Alan Whitfield of the University of West of England where his "work at UWE spans Research and Public Engagement. I conduc​​​t research in Swarm Robotics within the Bristol Robotics Lab. I am director of the Science Communication Unit, and undertake public engagement work centred upon robotics. Within that work I have a particular focus on robot ethics." Chrissie Lightfoot of Entrepreneurlawyer.co.uk. Chrissie is one of the most notable thinkers on the future of the legal profession and has written a well-received book on this provocatively titled: The Naked Lawyer. We aim to be kicking off around 6pm. There will be more details soon. If you want to join the debate early, then start following us on twitter @PKathrani, @j2bryson, @alan_winfield, @TheNakedLawyer, @lisawebley, @JohnAFlood. 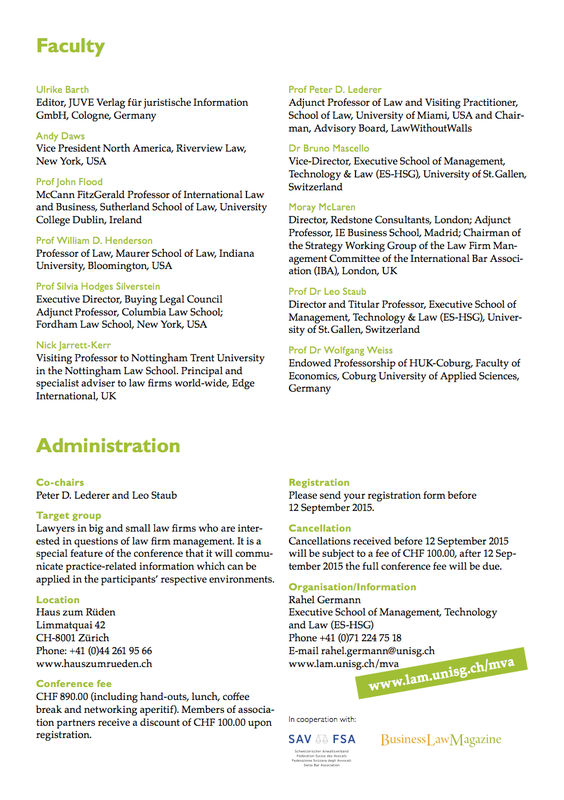 Booking details and registration are here in English and here in German. And if you would like more information contact Rahel Germann at rahel.germann@unisg.ch. 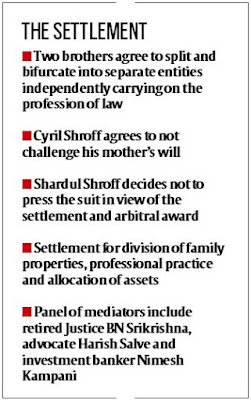 Recently the big corporate law firm of Amarchand Mangaldas split between two brothers, Cyril and Shardul Shroff. The settlement is published above. The division allowed outsiders in to the strange world of Indian law firms, generally private and very profitable. Although the number of corporate law firms in India is small they are powerful. The number of lawyers in India is huge, however. Together both have resisted and repelled attempts by foreign law firms (UK and US) to set up offices in India. As part of the GLEE project at Harvard Law School under the direction of David Wilkins, I've written a chapter for a forthcoming book The Indian Legal Profession in an Age of Globalization (eds) David B. Wilkins, Vikramaditya Khanna and David M. Trubek, Cambridge University Press. The paper is available on SSRN at http://ssrn.com/abstract=2629429. My chapter is "Theories of Law Firm Globalization in the Shadow of Colonialism: A Cultural and Institutional Analysis of English and Indian Corporate Law Firms in the 20th and 21st Centuries". The abstract reads: For many years foreign law firms have been trying to establish themselves in India. But the resistance from the Indian legal profession is so strong they have successfully prevented any establishment. The Indian government has from time to time tried to enable foreign law firms to enter the Indian legal market but without success. The paper examines the legal cultural and institutional reasons for this predicament. I argue that although India has a highly regulated market its corporate law firms are antithetical in their organisation and culture to the way the big global UK law firms are organised. 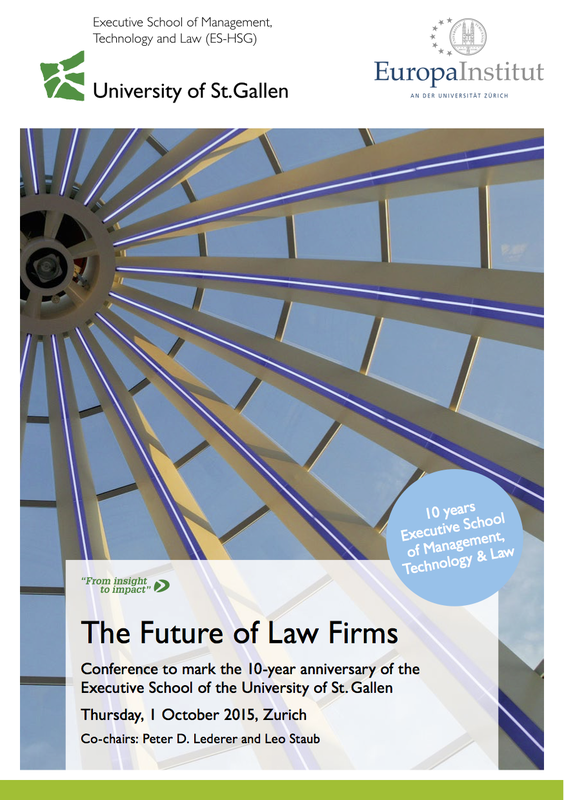 In order to aspire to the 'single firm' ideal UK law firms have invested heavily in developing their normative and cultural positions. This enables UK law firms to exist almost independently of regulation because they have shifted the burden of organisational control from outside to within the firm. 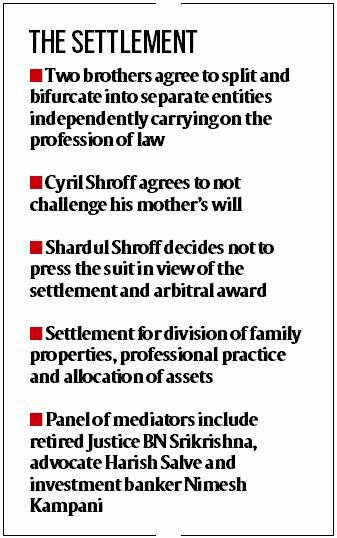 In these respects Indian law firms are weakly organised because they hew to kinship, family based structures that resemble the 19th century iteration of the UK law firm. There is also the colonial legacy that lives on in India and the struggles of the new international law firms appears very much like a new imperialism, hence the fear and rejection. More often than not the sirens of the future predict the demise of Big Law, that the traditional law firm model has run its course, millennials won't work there, general counsel refuse to pay outrageous hourly rates for fat cat partners. 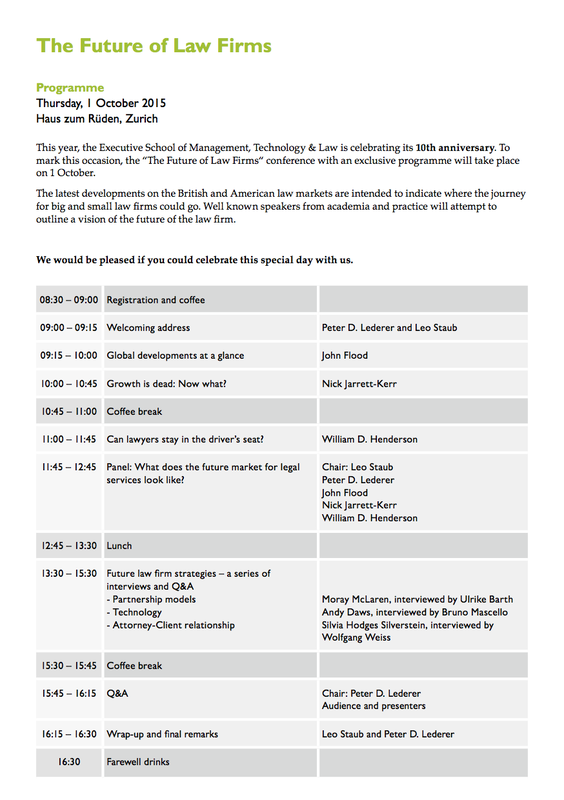 The likes of Jordan Furlong, Richard Susskind, George Beaton, and occasionally myself, will tell us why and how the new age of lawyering will be upon us like the anthropocene age. Are we professional clones of Klaatu in The Day the Earth Stood Still? The death of Big Law may be premature. My thoughts on the premature burial opened up on reading Dealbook's article in the New York Times about the rise in mergers and acquisition work in the first half of 2015. Almost 20,000 deals worth $2.2 trillion have been announced in the first half of this year. It's up 40% on the same period in 2014 and is just shy of 2007 levels of $2.3trn. Bankers and lawyers say that their “pipelines”—their backlog of pending transactions—are more stuffed than ever, claims that are both braggadocio and an acknowledgment of the sheer numbers of companies weighing mergers and acquisitions. We know from previous economic cycles hubris usually overtakes any caution that existed in recession. So, despite the pitfalls of Grexit and the pricked Chinese bubble (let alone the future prospect of Brexit), the boom is on. Law firms ride on these waves and The Lawyer has been reporting a steady flow of profit rises for most law firms in the last year. Certainly some firms are shifting resources to nearshoring and outsourcing and introducing various online portals for clients. Most of this is marginal at best. Law firms also closely align themselves with investment banks who are doing these M&A deals. These alliances go back many years. What then are the figures? The top four banks doing the biggest M&A deals are Goldman Sachs (31% market share), Morgan Stanley (26%), JPMorgan ((22%), and Bank of America Merrill Lynch (20%). They have the largest and most transactions of the major banks. The key law firms doing M&A show how alliances often endure in such relationships. There are few surprises with Skadden, Cravath, Davis Polk, Sullivan, and Wachtell. These firms are renowned for their M&A work. We are, however, seeing the incursion of the outsiders in the guise of Latham (Los Angeles) and Freshfields (London). Both are boosting their New York capacity. 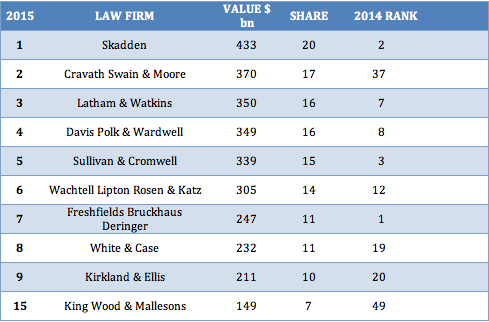 For me the law firm of interest is King Wood & Mallesons rising from number 49 last year to number 15 in 2015. This may be on the back of outward Chinese M&A, but it shows the rise of Chinese law firms in a world dominated by New York and London. The revenues from this work are significant and will be reflected in profits per partner. What is also significant is the the role of "the dog in the night". There appears to be no barking from general counsel in these deals, no demands for cut price work and the like. Given deals like Royal Dutch Shell's $70 billion takeover of the BG Group, this type of work is of the "bet the house" class. It is perceived as too risky and too valuable to be assigned to a second tier law firm. As is common with booms and slumps, the upward slope of the cycle induces a form of amnesia that negates the incentives for change and there is a regression to the mean. In this case the mean is business as usual. Now one could ask about changes in hiring practices and the habits of millennials who won't partake of the partner tournament. If millennials do view careers as portfolios of different jobs then the tournament has lost a critical player. I would argue differently in that the tournament is busted and that it was never a sustainable programme. It contained the seeds of its own self-destruction. Indeed the death of tournament has played into law firm partners' hands. It is evident, as Bill Henderson and others have shown, that equity partnerships have shrunk over this century and become more elitist and less of a reward. That millennials and Gen Y refuse to play the game only assists law firms in rescaling themselves for the modern era. They have freed themselves from long term commitments equivalent to the Greek pension system. Am I reading too much into a set of short term figures? I wish I were. But the forces of change in law and legal services are remarkable for their resistance to change and pressures to modernity. We only have to look at the resistance of the Irish legal profession to market liberalisation and new regulation. In four years the Irish bill implementing these changes is yet to emerge from the parliament. And what eventually comes out will be considerably watered down. I would even cast a sceptical eye over British changes and the ability of the legal profession to countermand their spirit.